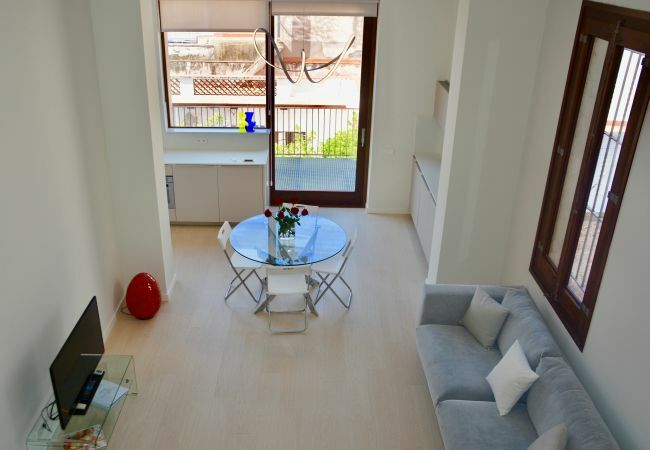 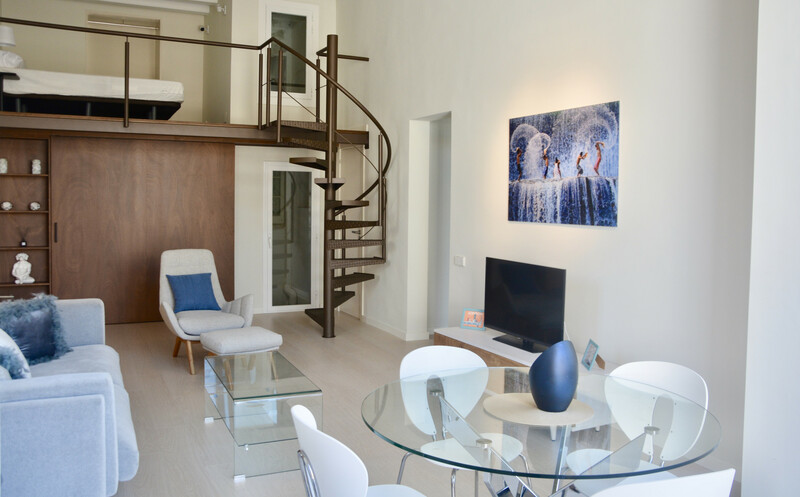 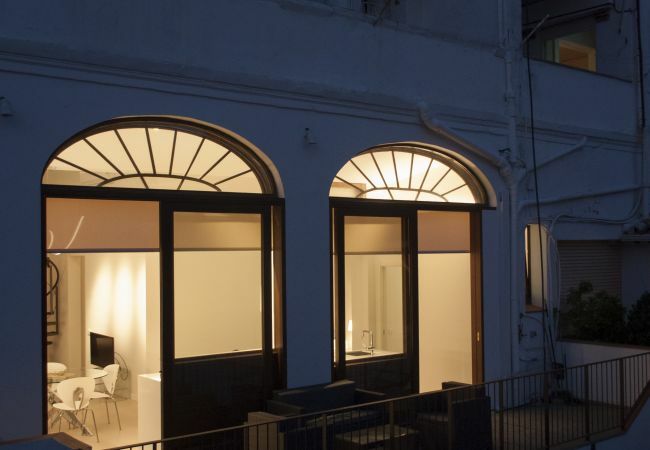 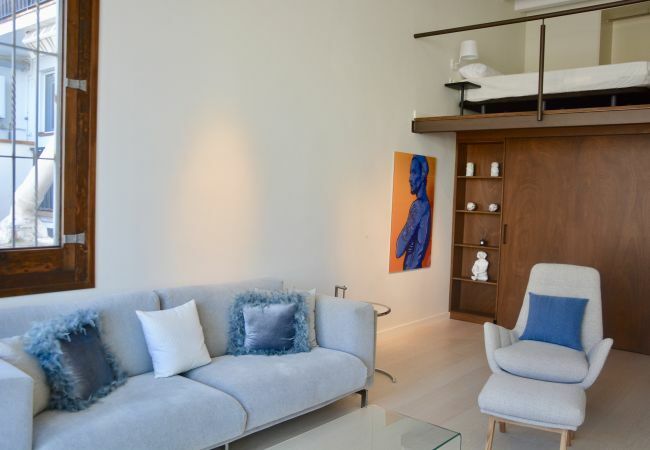 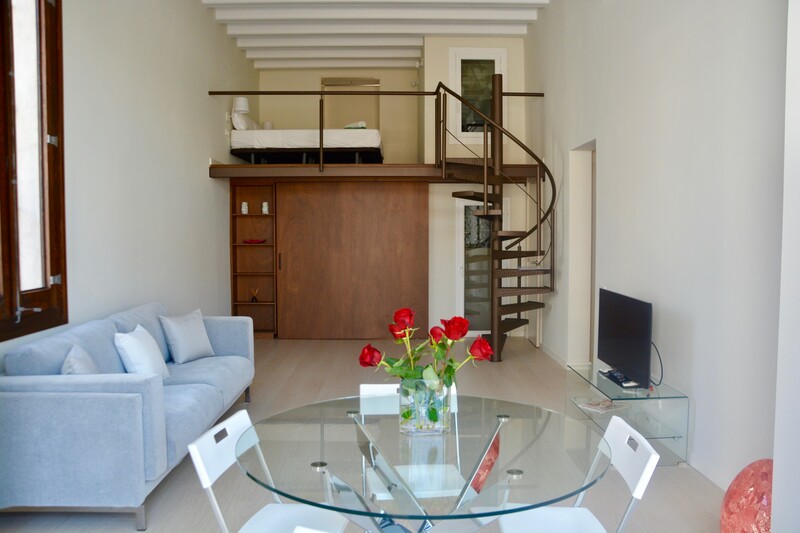 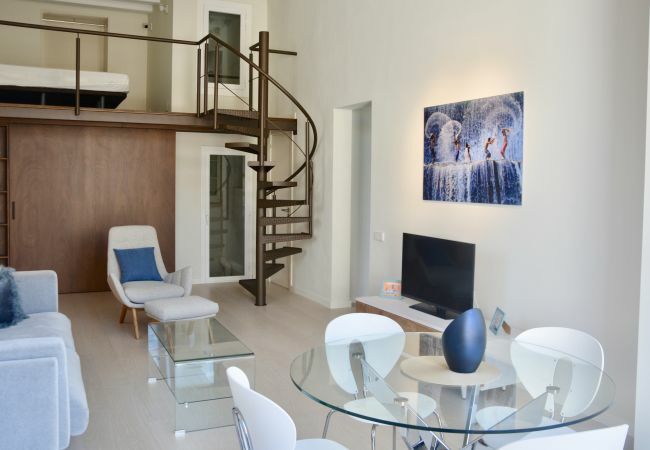 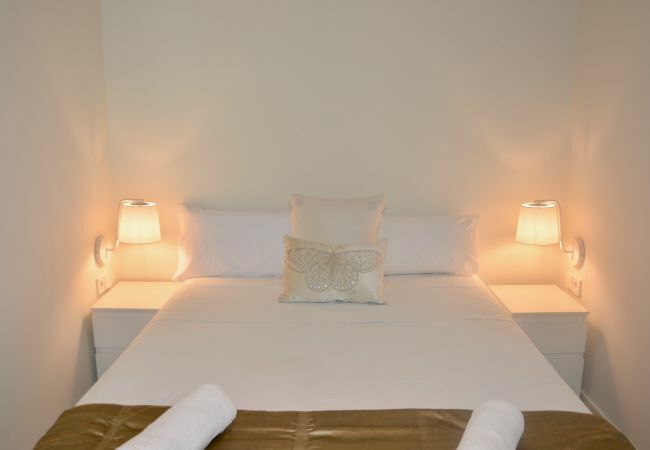 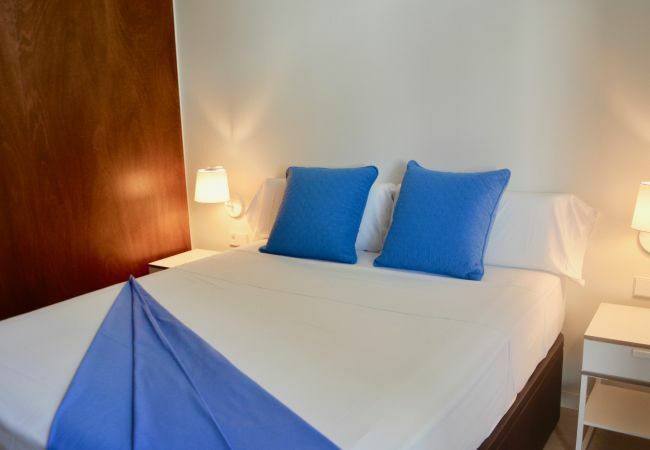 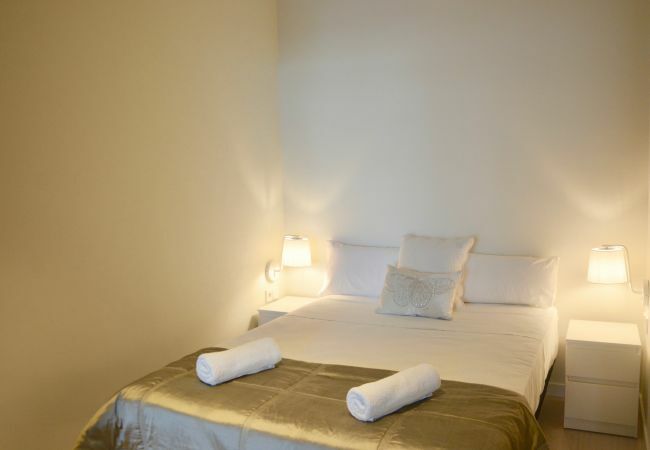 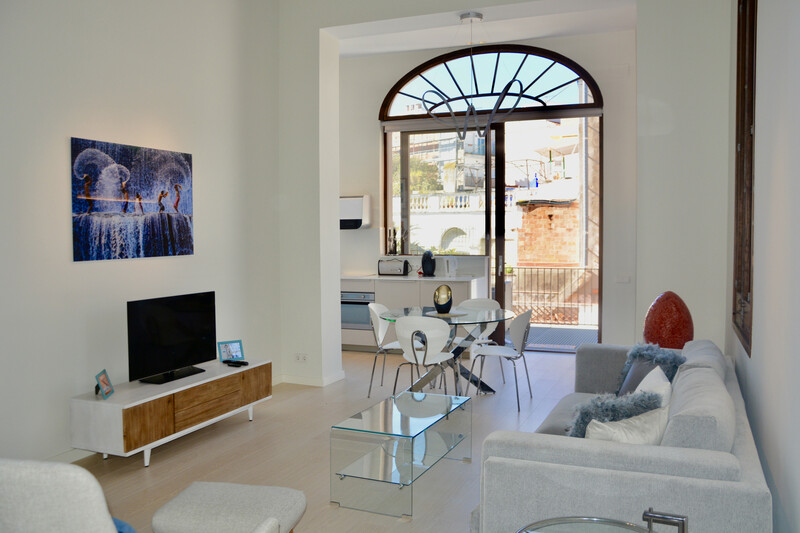 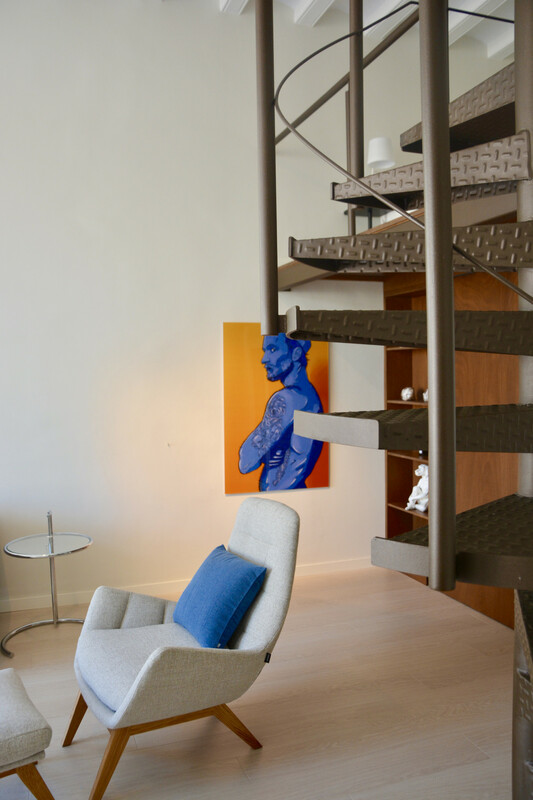 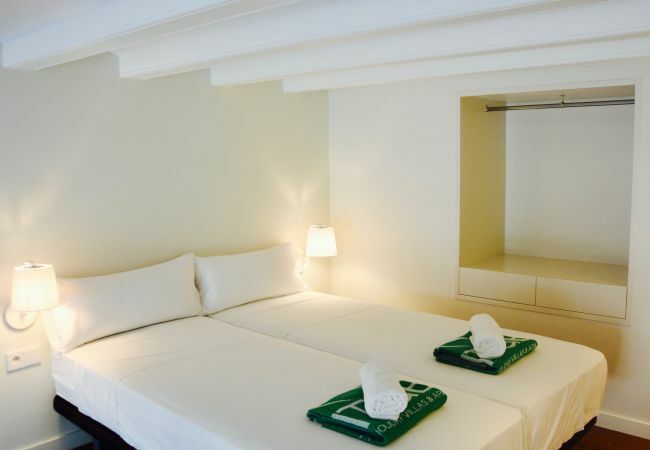 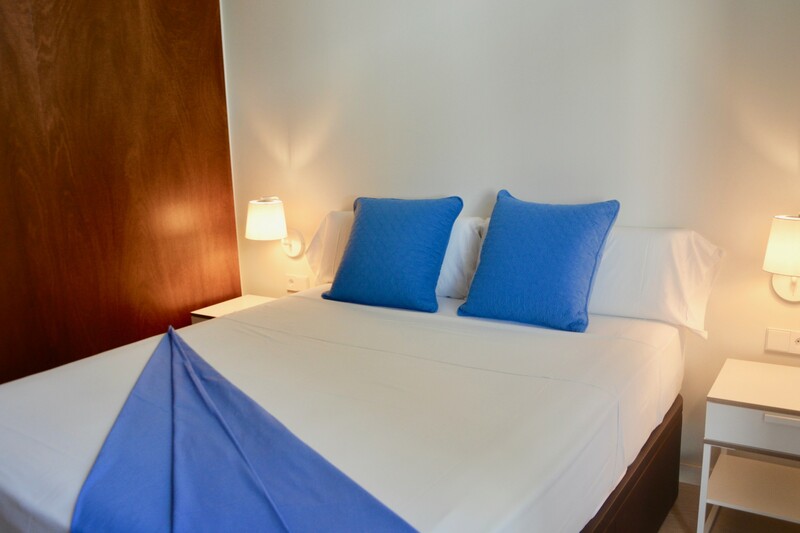 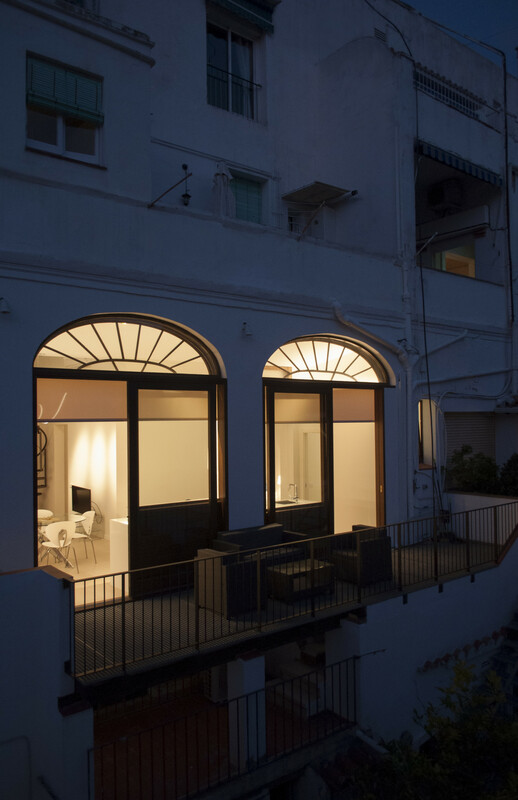 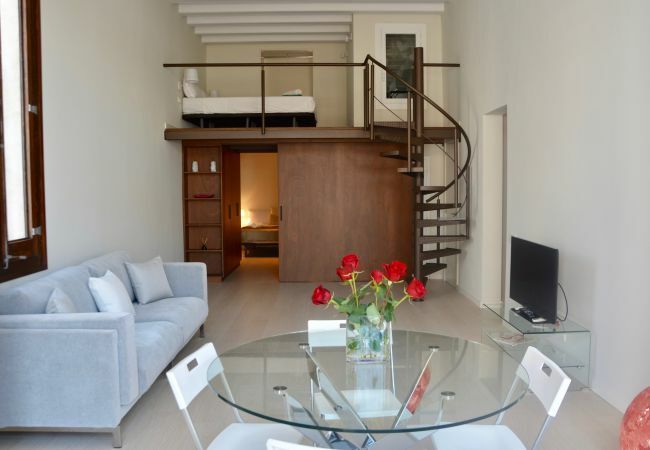 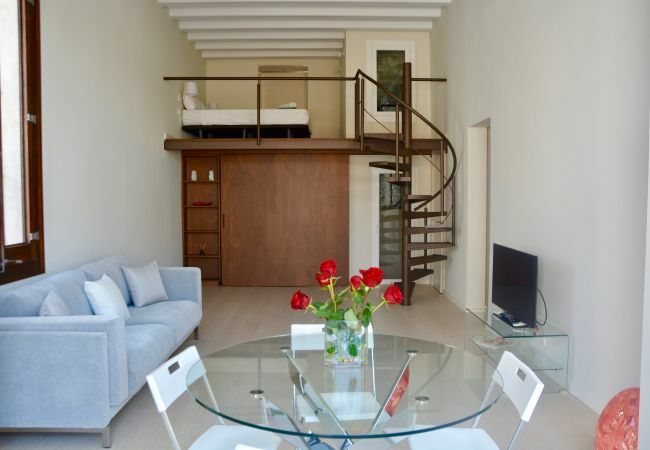 Vogue is a newly renovated and architecturally designed 'Loft style' apartment here in the heart of Sitges. 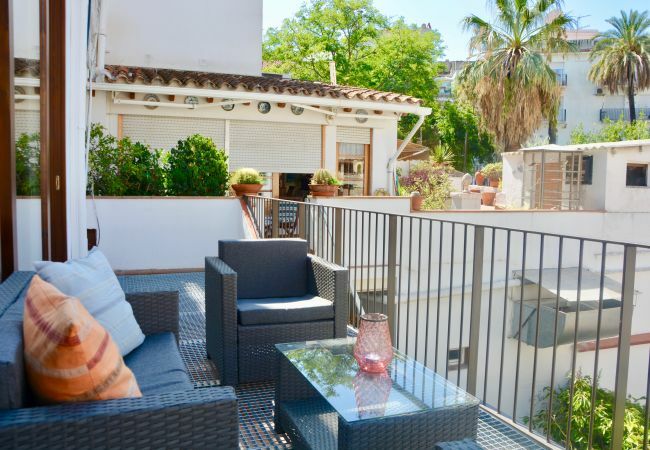 A real hidden gem as you walk in off one of the main streets to this apartment which is at the back of the building with a great terrace overlooking a courtyard. 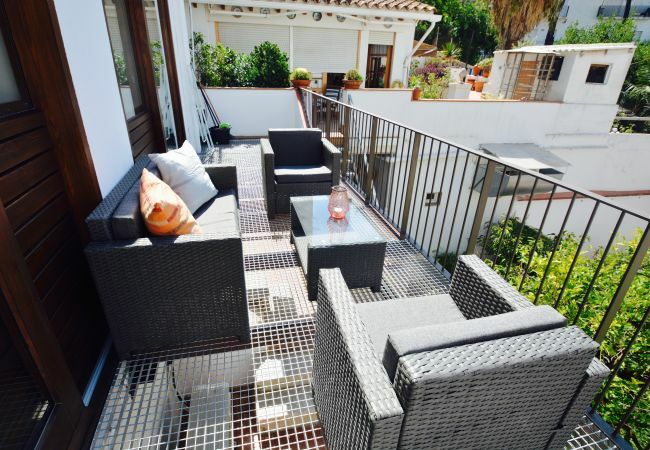 As this is at the rear of the building you will find tranquility and calm without any residual noise from the street. 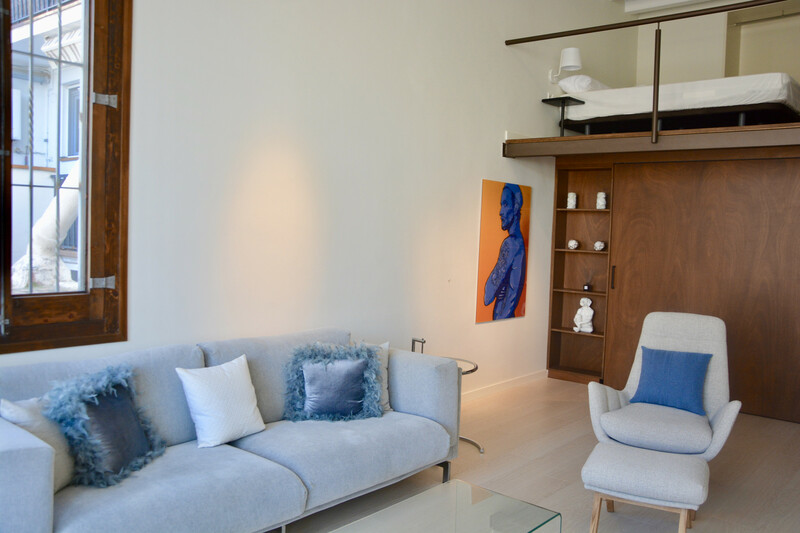 As we enter the apartment on the 1st floor (there is no lift) we walk into the hall and you will see the original double height ceilings with stunning preserved original features. 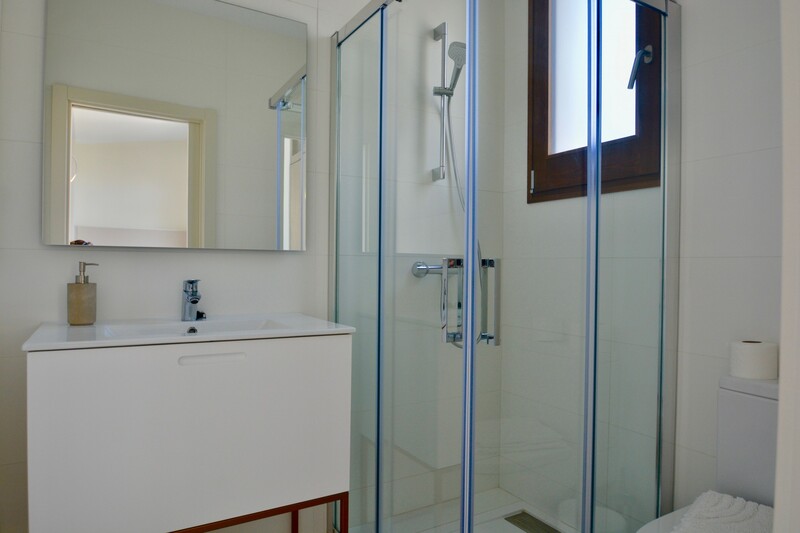 This leads to a double master bedroom with a large wardrobe, through a sliding door it leads to a great walk in shower room/bathroom . 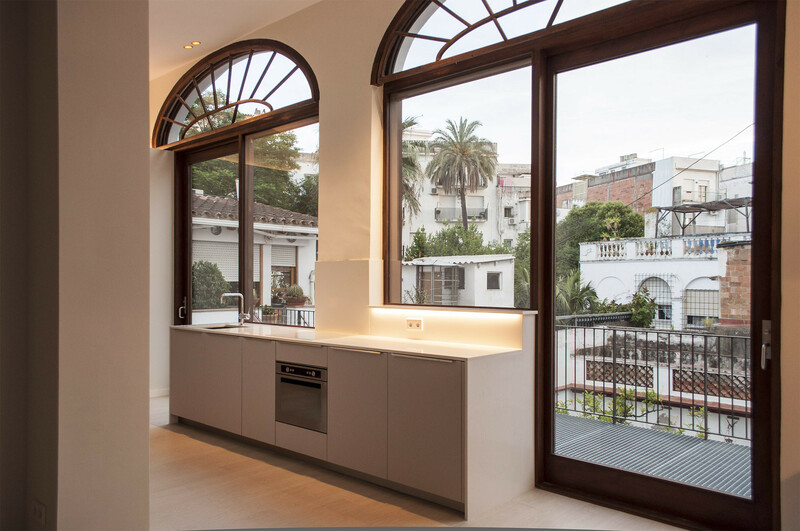 This in turn also leads to the kitchen which is open plan with huge arched windows leading to the terrace and again and the double height sitting room, with glass windows and sliding doors to the private terrace. 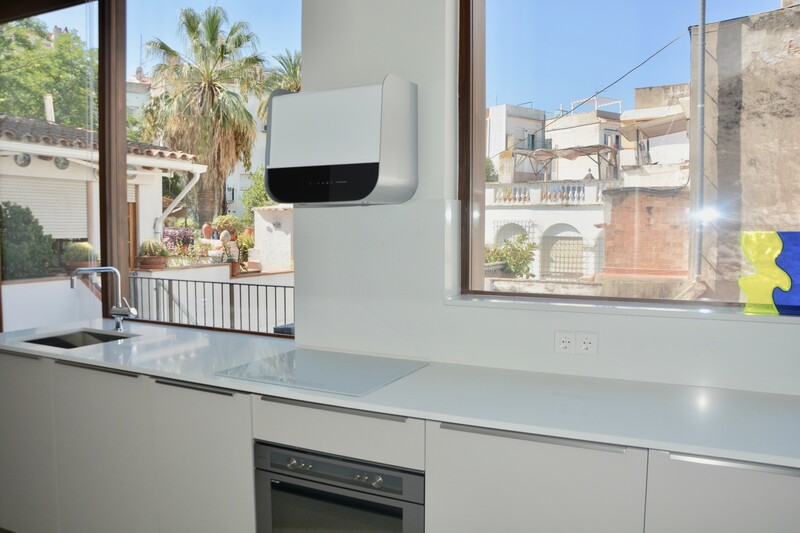 The kitchen is fully fitted with fridge/ freezer/ dishwasher/ electric induction hob/ & coffee machine. 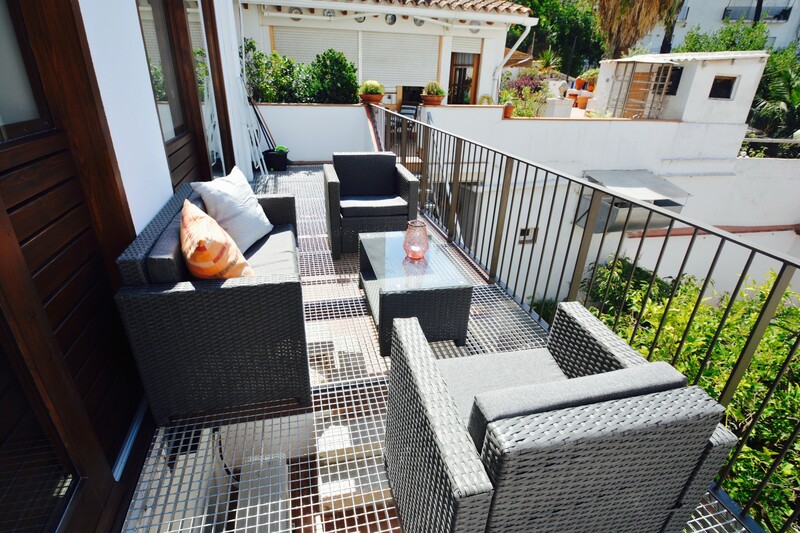 There is a glass table situated between the kitchen and sitting room close enough to the terrace to enjoy the breeze from the courtyard. 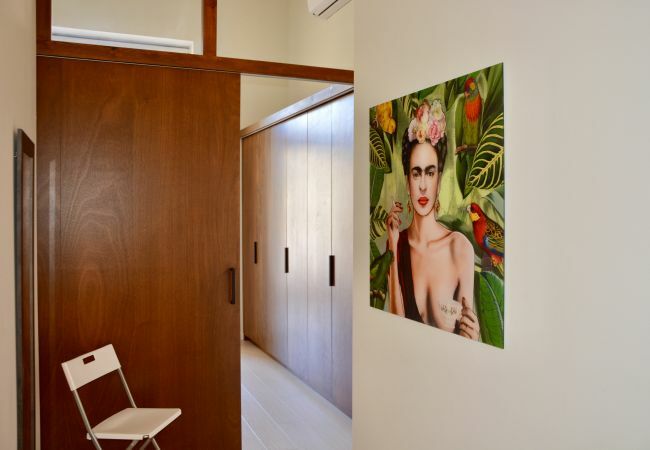 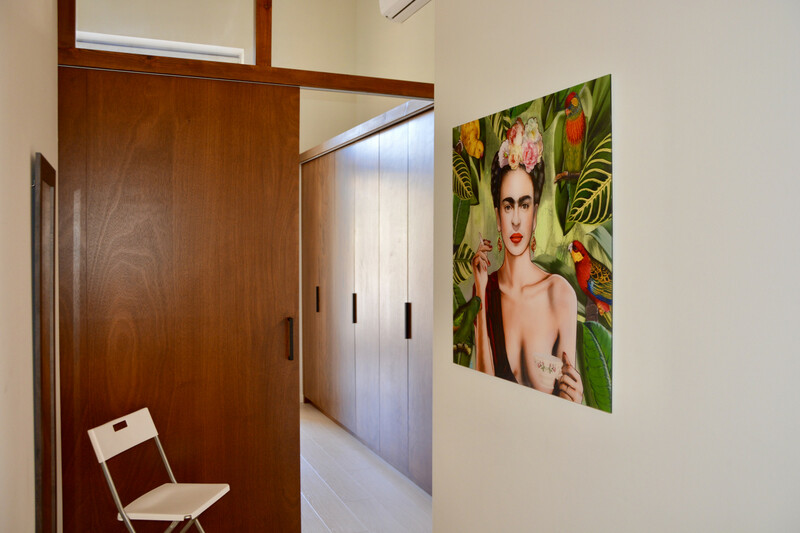 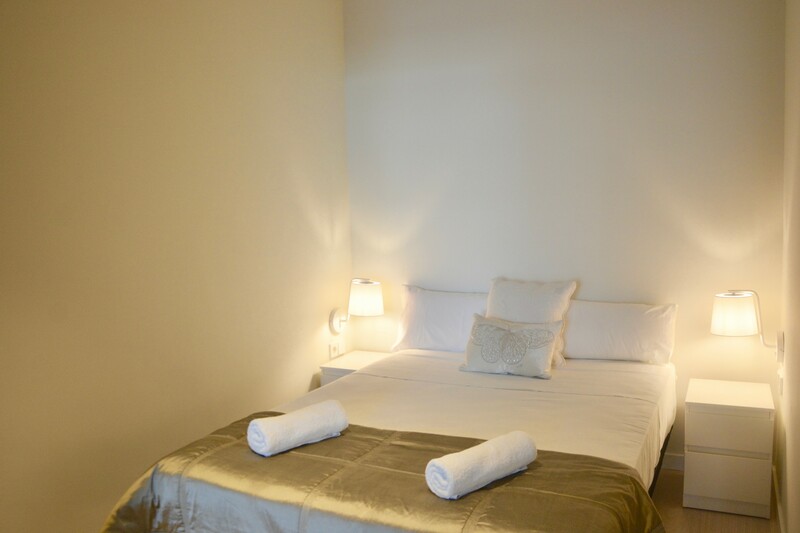 The sitting room and master bedroom both have new air conditioning units, sufficient to cool the whole apartment. 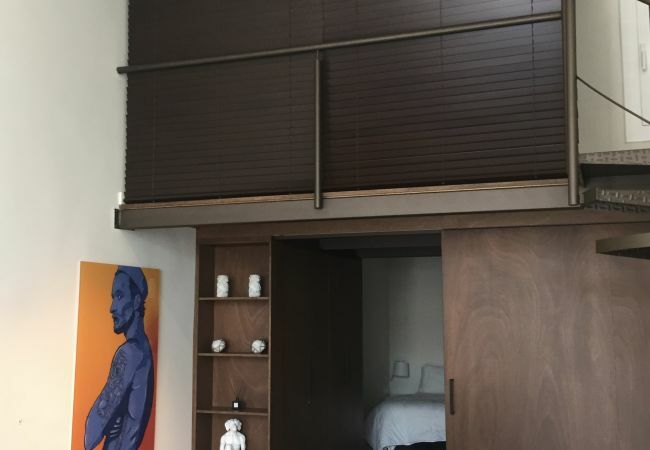 There is also a fan for the rear bedroom if required. 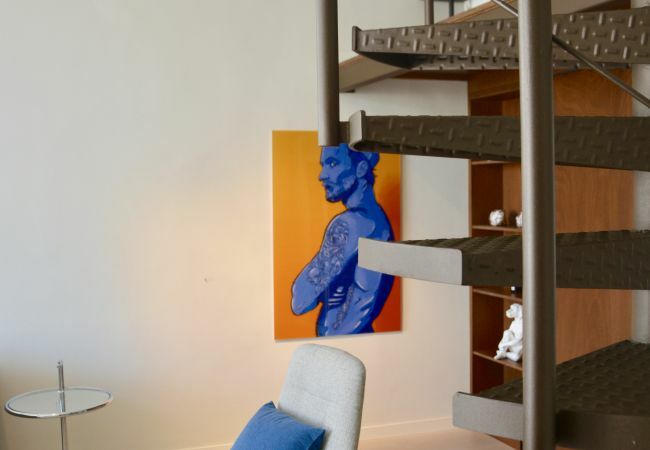 (can be a double). 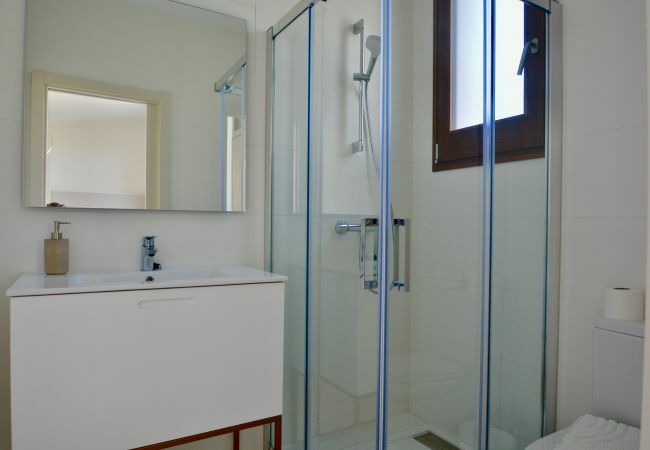 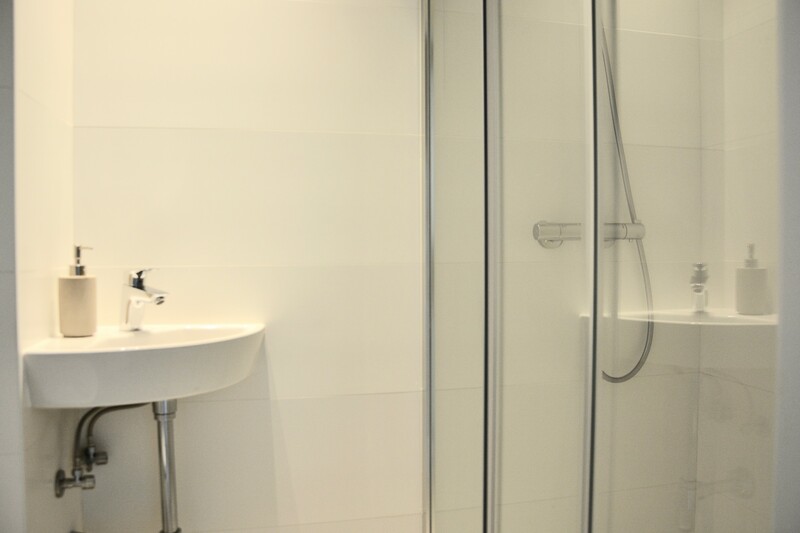 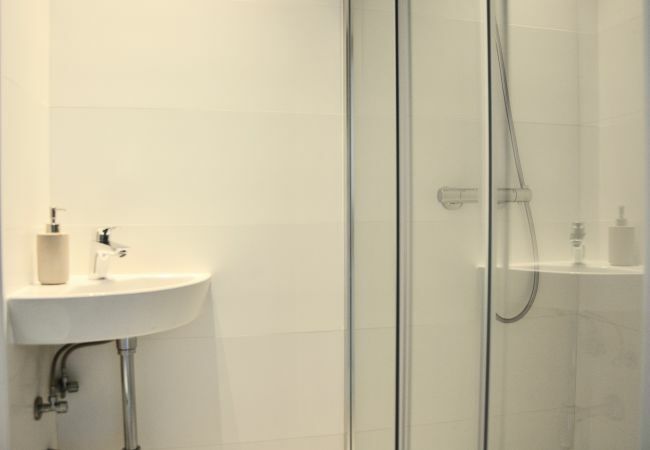 There is also a further good size walk in modern shower room and loo here on the ground level. 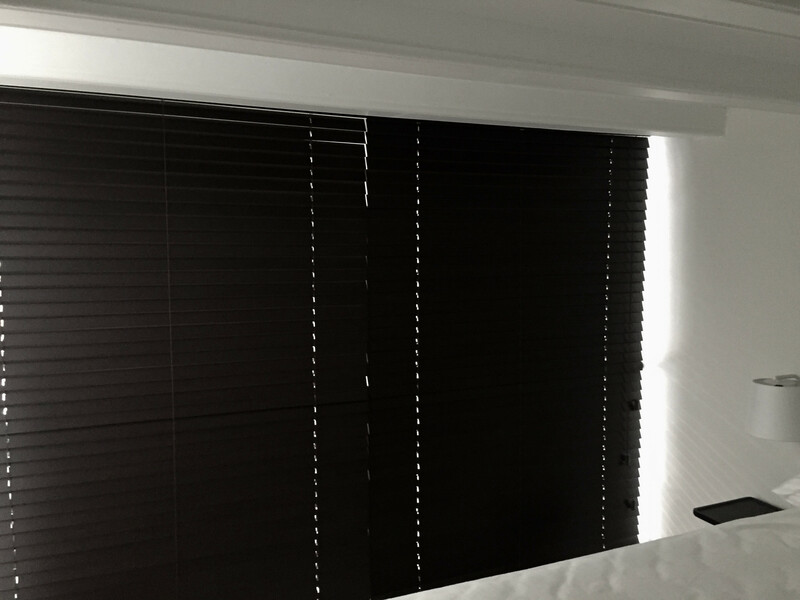 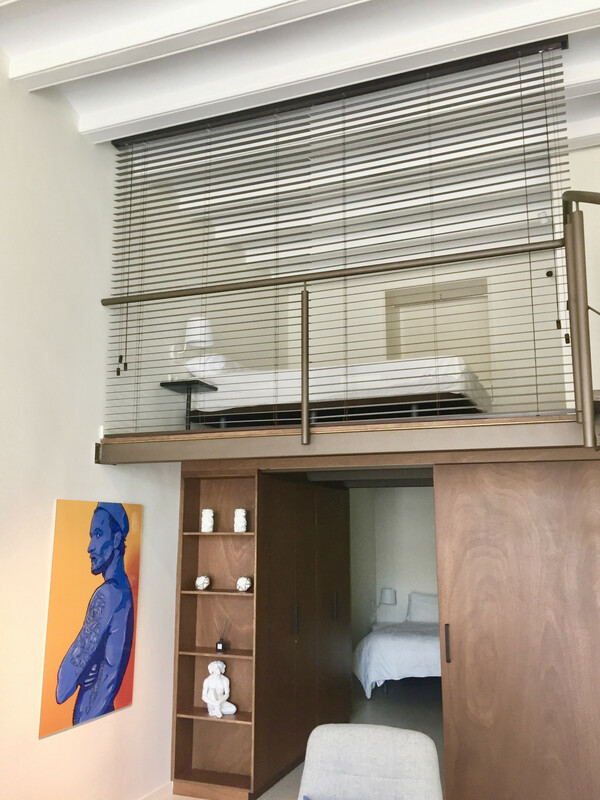 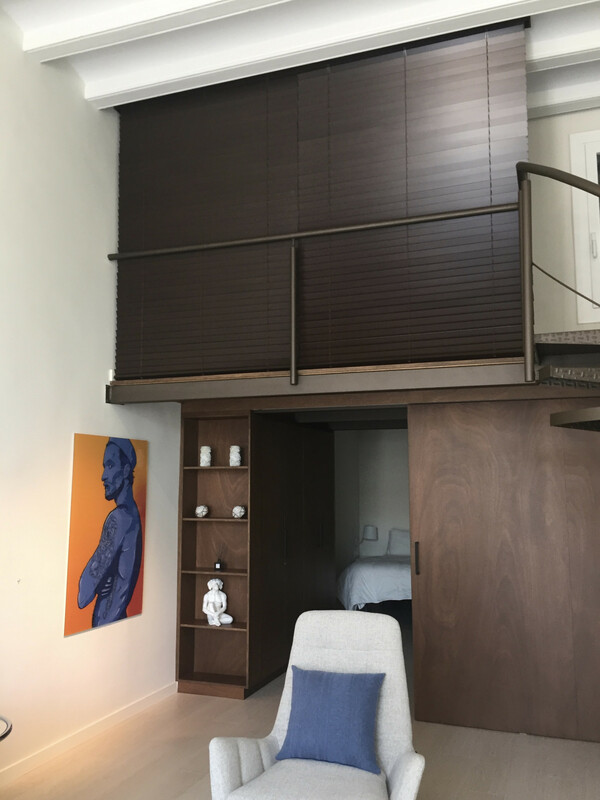 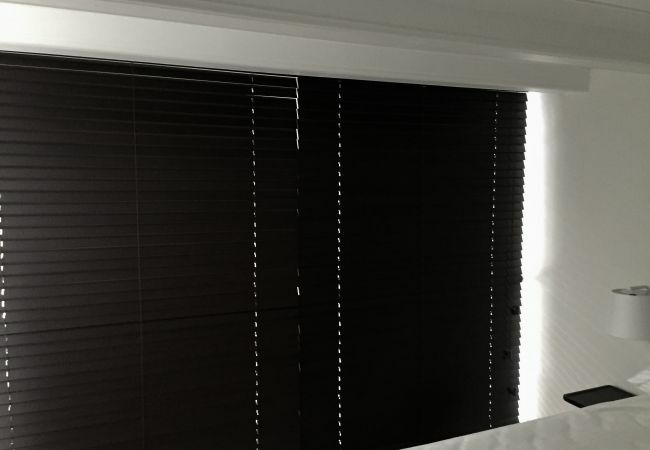 This bedroom has Japanese blinds installed for privacy and can easily be opened to add light to this area if it is not being used. 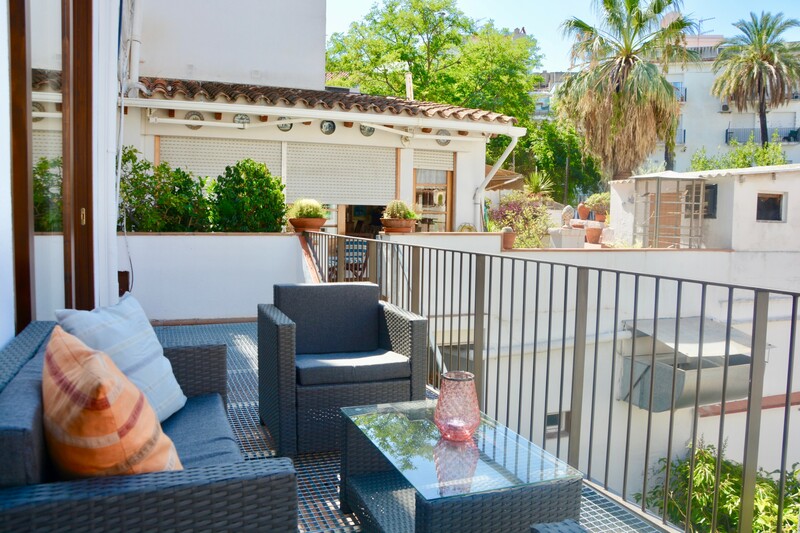 The tranquil terrace has a view of the courtyard and has an outdoor double sofa and 2 comfortable chairs with a coffee table to enjoy cocktails and a maybe relaxed tapas! 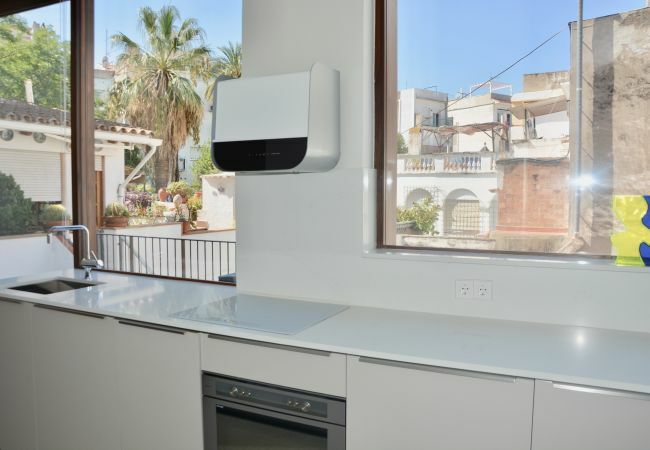 There is also a washing machine and tumble dryer outside. 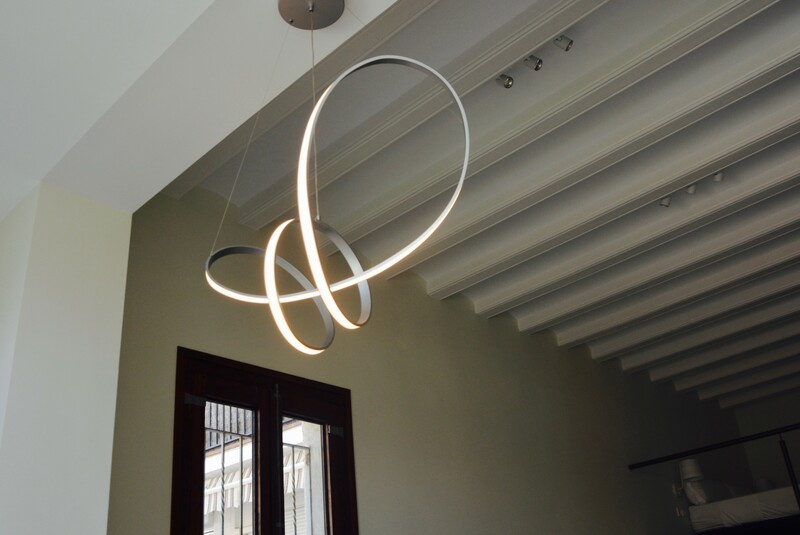 Vogue is a stunning new addition to our portfolio with the feeling of space and light and a contemporary twist on one of Sitges oldest residential buildings. 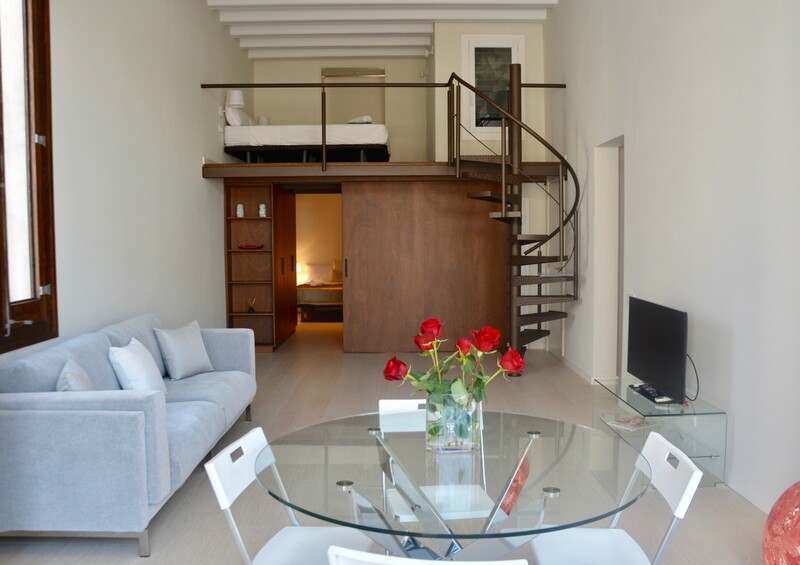 The apartment has fibre optics and internet TV. 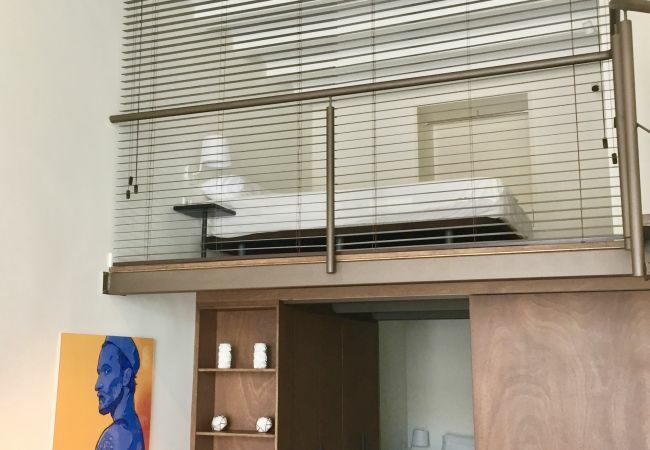 For various architectural reasons this apartment is not suitable for young children. 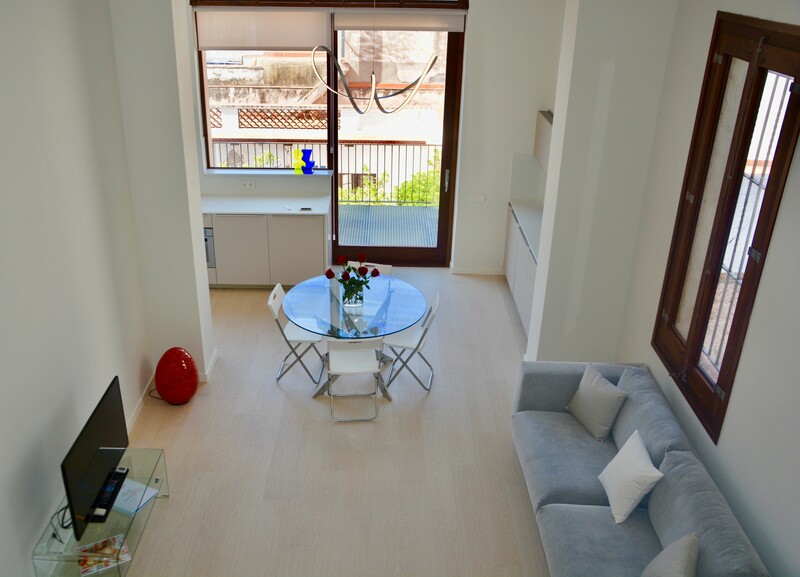 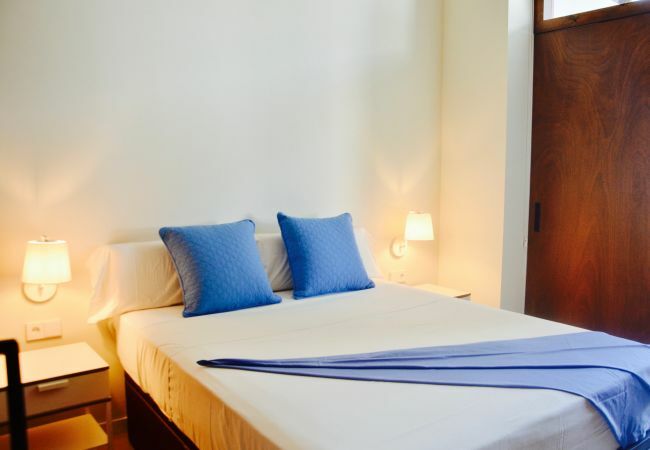 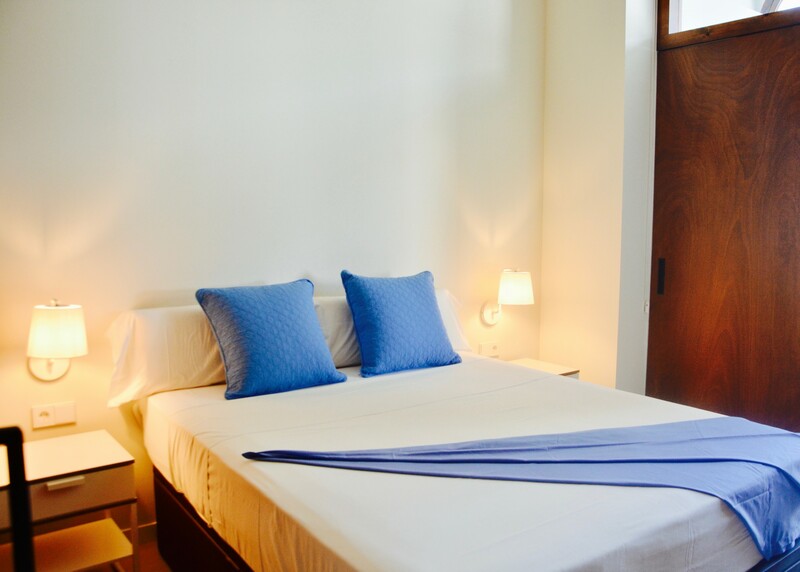 - 1 TV, 1st floor, garden furniture, 18 m² terrace, iron, internet (Wi-Fi), hair dryer, balcony, 80 m² property, 100 m² plot, air conditioning in the living room and in some bedrooms.